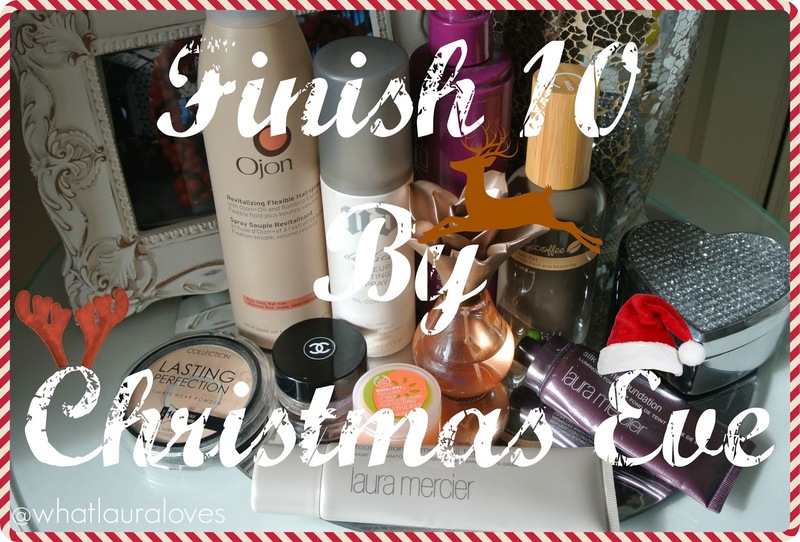 Finish 10 By Christmas Eve Challenge! Today I wanted to share something a little different with you all. 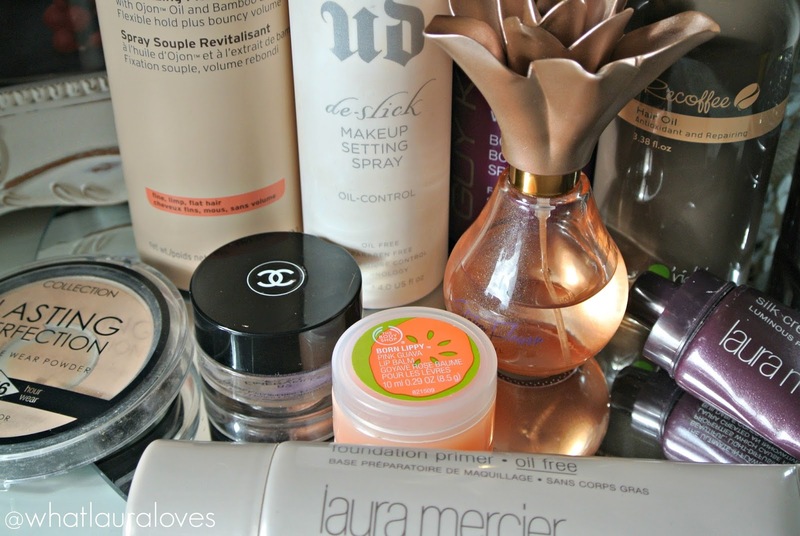 By now you should know how much I enjoy using up the products that I have, getting the full benefit from them and then throwing the empty packages away. Products are there to be used after all. The trouble is that when you’re a constantly testing out new products, you end up with several of the same type of product open at once and it makes it quite difficult to finish everything. When the lovely Leah got in touch with me and asked if I’d like to join her in doing a ‘project 10 pan’ style challenge in the form of ‘Finish 10 By Christmas Eve’, I accepted the challenge with open arms. After quickly picking out ten products to use up from my collection, I sat down to film my video and here it is. Its not the most captivating video I’ve put together admittedly but it does show my personality, especially when I drop and smash the Chanel eyeshadow which I still have a pet lip on about, and it is a lot more relaxed. The thing is, I was filming videos from about this time last year, right through to spring and I was finding it more and more stressful to film because my camera wouldn’t record the footage correctly, then it would flash and I wouldn’t know what was the matter with it, then I’d upload the footage if I were lucky enough that it had recorded it in the first place and the sound would be all out of sync with the picture. This was in May and I just gave up. Faffing on with youtube was taking so much time out of my schedule and it was a lot easier to just write a blog post, especially when I’m blogging daily anyway which takes up a lot of time. I filmed this video just on the webcam of my Macbook Air and d’ya know what, I think I’m going to film some more in this way. Its not going to win any awards for the most amazing footage but I’m not doing youtube as some sort of professional business and I kind want to capture the essence of what it was all about in the beginning- real life, in my bedroom, talking about cherished items. Speaking of cherished items, some of the things that I picked out to finish up in this challenge, I have loved for a long time like the foundation and eyeshadow, some Im not a fan of but feel as though I should be so I’m giving them one last ditch attempt to impress me until they’re all used up and heading for the bin. The idea is that we start on 24th September and continue through to 24th December and try to use up the 10 products that we’ve chosen. Anyone can join in so if you’d like to on youtube, your blog or on instagram, let me know in the comments. My strategy is basically to keep these products to hand on my dressing table so that they’re the ones that I reach for when I’m getting ready and to put away similar products so that they’re out of sight so that I’m not tempted to grab them! I’ll put up a half way update and then a video right at the end to let you know how I’ve got on. Fingers crossed I get through them all… Well, I will. Determination is my middle name! Would you like to join in the challenge? What products are you trying to use up? I absolutely love this idea. I have the hardest time finishing products. I think your strategy is awesome for sure and super smart. You can do it girl!! I can't wait to see you finish!!! Fun, Laura! I am very frugal so I am always trying to use things up. It's much easier for me to use up skincare products than makeup. 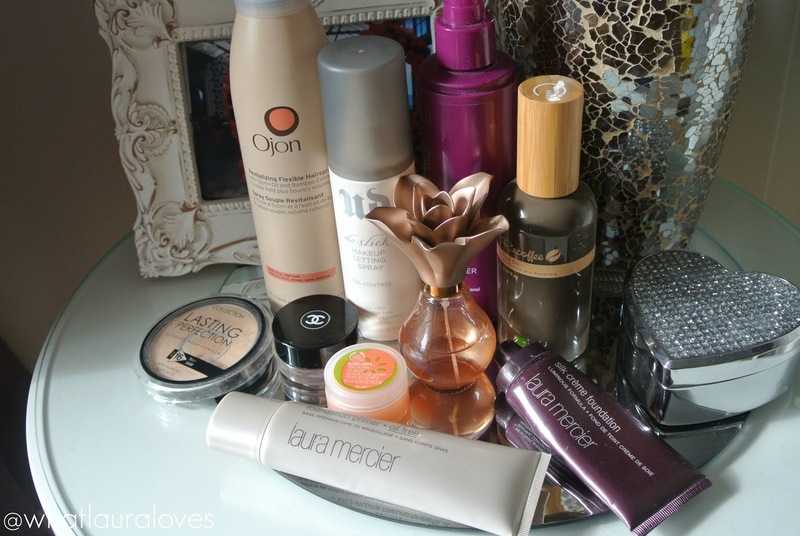 I think this month I may have almost but not quite 10 products…maybe! Love your video. Great to see you in action!! Cool idea for a project pan! I really should do something like this, too. I'm on product overload right now! What a fun challenge! All the best!! I tried the challenge but unfortunately it wasn't that successful 🙁 I love your picks on the products to finish by Christmas Eve.